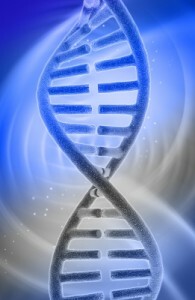 You are here: Home / Uncategorized / What Does Genetics Have to Do With It? Does genetics count? I ate lunch today with a gentleman, and somehow his conversation got around to the association of cholesterol in your blood and the danger of having a heart attack or stroke. (He even mentioned the association of erectile dysfunction with cholesterol but stated the main question centered on heart attacks.) “My genes are just bad for cholesterol. My wife eats the same as I do and her cholesterol is lower than mine.” He said this as he took another bite of hamburger and wiped his lips with a napkin. He “explained” it away in his own mind. I “explained” that he was probably correct up to a point. Genes do make up 10-12% of the determination but the rest is up to you. What you inherit is not nearly as significant as your present lifestyle. The medical literature has many reports of individuals leaving one country, where they are not eating foods high in saturated fat, trans fat and dietary cholesterol, and moving to America. Once here, their diet changes, their blood cholesterol levels increase, resulting in a significant rise in the rate of heart attacks and strokes. Such a study showed Japanese men who moved from Japan to California or Hawaii ended up with a much higher cholesterol level, as well as a higher incidence of heart disease — than Japanese men living in Japan. The Japanese men who moved to the United States carried the same genes they had in Japan, but their eating lifestyle changed. They began eating steak and eggs. A lot of food had cheese added. Ice cream became routine. And a large percentage of what they ate was fried. It wasn’t in their genes that made the difference; it was in what they ate that elevated their “lethal” LDL cholesterol level. And the important thing to remember is: if you do have bad genes, all that means, is that you need to be even more committed in controlling your lifestyle of food, exercise, and weight than someone who has good genes. Learn how to by reading and studying Prescription For Life.